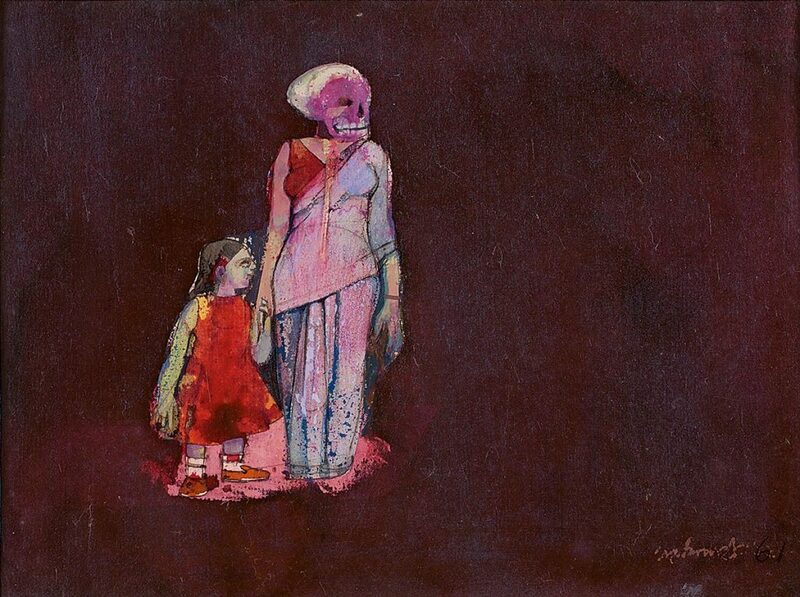 One of India’s foremost contemporary painters, Ganesh Pyne’s works stem from his constant engagement with the nature of existence, time and its passing. 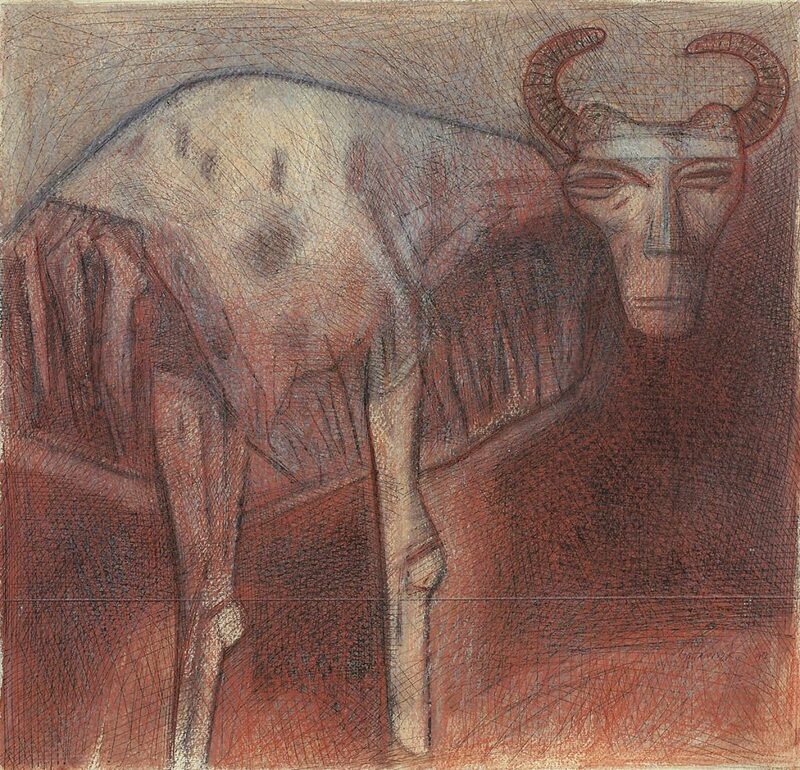 Exploring the deep recesses of his imagination, Pyne creates uncanny images of disquieting creatures that draw our attention to a world beyond the familiar. The artist is inspired by the rich storehouse of Bengali folklore and mythology, contained first in his grandmother’s stories. In a shadowy world of skeletal figures, Pyne creates a symbolic language of images to comment on man’s existential condition. 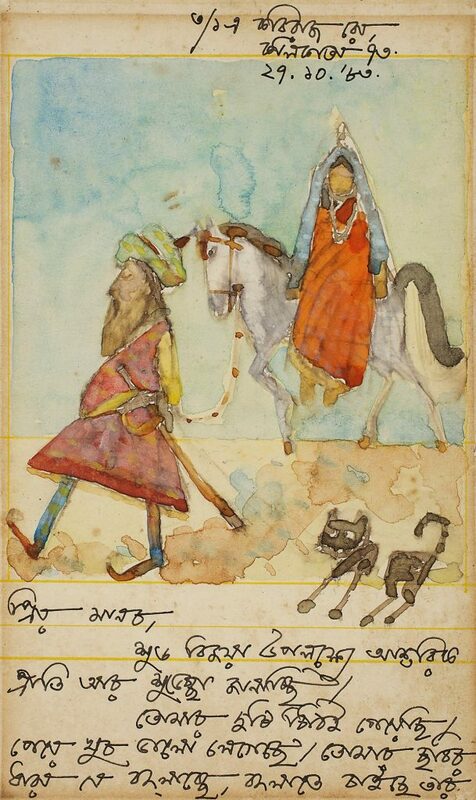 An admirer of Abanindranath Tagore in his early years, Pyne successfully achieves layers of translucent effect in his tempera paintings. His great skill as a painter lies in his dramatic rendering of light and shade. The effect of a trapped, eerie light in small dense works creates an air of mystery and intensity. 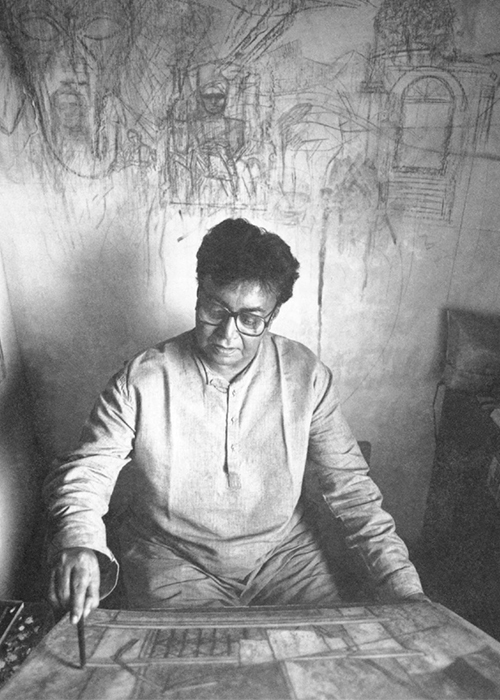 Like other leading artists of Bengal, Pyne has been deeply affected by its social history and has consistently engaged with the subjects of fear, violence and death. Pyne has received the Gagan Abni Puroskar by Visva Bharati in 1997, a D. Litt from Kalyani University and the Kalyani and Abanindra Purashkar by the West Bengal Government in 2004.